Session 1: June 17-27 | Session 2: July 8-18 Monday-Thursday, 10 am.-4 pm. We are so grateful to have you join Generations United, Inc. as we completely commit to the call to serve children and families at a deeper level. In 2018, we had greater vision and courage to engage with families who are facing such incredible trauma and pain as they decided whether to remain in the changing landscape in the Silicon Valley. Throughout the year, the community carried the weight and uncertainty of appending school closures in their underserved neighborhoods. As I write this letter, the school district just confirmed four school closures. In total, close to 2,000 children will be impacted as the district goes from 16 to 12 sites. Our role as a stable, trusted resource and educational support to the disenfranchised children and families is needed more than ever. We can only do this with your generous support. 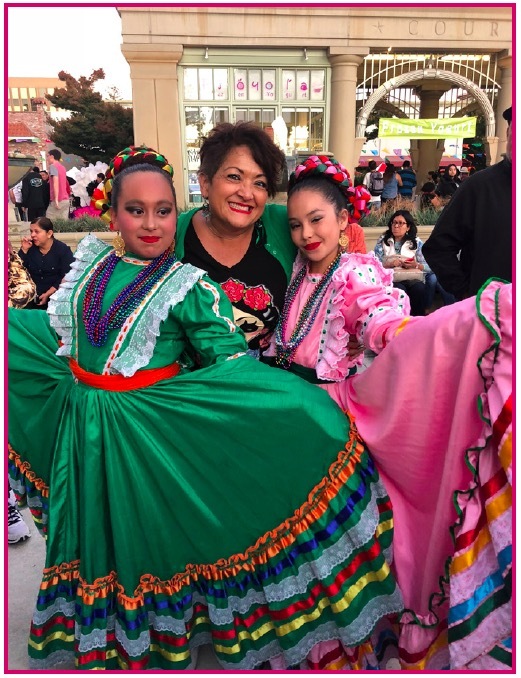 Our mission is to empower the children and families of Redwood City & North Fair Oaks to reach their full potential…in this generation and the next. We believe we are bridge builders to strengthen communities. There are countless people in our city (young and old) who are blessed as they come together! We believe that as we stand together, we will become an even greater community. 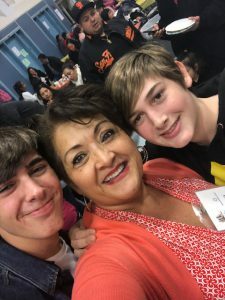 Through intentional engagement, ALL will benefit from a connection to one another as our lives intersect cross-culturally, intergenerationally, and across educational/income levels. We have a newly updated website www.generations-united.com where we will share many stories in 2019. We hope you will share yours with us! As we head into the new year, you will hear more about learning opportunities. 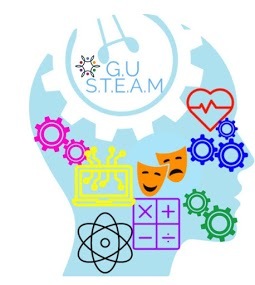 Since 2012, GU has stepped in to fill gaps in the community with academic enrichment programs, homework centers, ESL, parent support groups, family dinners, and fitness (e.g. Taekwondo and ballet). Together, these activities offer an important resource: community. GU’s leaders and volunteers collectively represent a crucial network of support that goes far beyond its programs. Such solidarity requires trust, and it’s this trust that enables our work to succeed. Many of our families are in deep crisis. One family we are working with has two teenagers navigating adolescence and a 5-year old son who has physical and learning disabilities. They live with the fear of deportation and are working through expensive and difficult immigration processes. A GU volunteer is deeply engaged and loving this family on their difficult journey. We need many more caring volunteers to make a lasting impact. We are grateful to continue our work and are exploring even more ways to engage with entire families in the community. We encourage you to continue to invite others and join us financially. 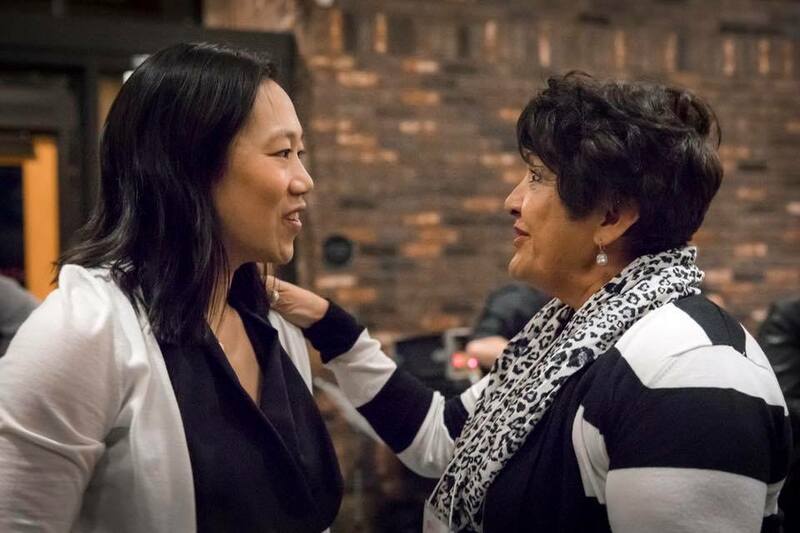 We need to hire critical staff to lead our efforts as we expand our vision and mobilize more people to engage in cross-cultural, intergenerational, community work. The needs are great, but we know together we can make an impact! Celebrating our cultural diversity is core to what we’re about. When we build relationships where we live, we discover the complexities of standing with the vulnerable and the commitment needed for long-term change. Proximity changes our perspective, compels our response, and keeps us committed to the journey of pursuing justice for all. Move beyond awareness and experience the power of proximity. New Website, New Challenges, New Energy! We are thrilled to introduce our new, freshly unwrapped website to welcome the new year. Designed with love by our dear Silicon Valley partners, Exclusive Image, we hope that its vibrant colors and beautiful faces capture for you the renewed energy with which we enter 2019. As the executive director of Generations United, I want to express my God-ward thanks for all of you. Some of you are reading this as long-time volunteers and supporters of our work. Others of you may be learning about Generations United for the first time and are feeling called to join in. Whichever the case, your interest brings much food to the soul, nourishing me and our whole team for the good and hard work that lies ahead. Many of you are aware of the paradox that is Redwood City and the larger Silicon Valley within which our city rests. The innovation, technological prowess, and entrepreneurial spirit concentrated here, reverberates around the world. Unquestionably, the Valley is transforming the way that humans relate, work and live. With prolific innovation comes prosperity. As geography professor Richard Walker points out, if this region “were a country, it would rank among the top twenty, just ahead of the Netherlands, Turkey, and Taiwan” with a gross domestic product of over $780 billion last year. But such great prosperity comes to some…at great cost to many others. 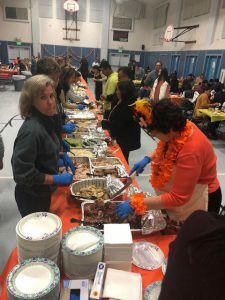 As I write this, the Redwood City School District is in painstaking deliberations about the fate of several of its schools, all four of them at which Generations United has loved and served since our beginnings. 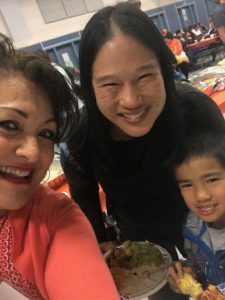 Fair Oaks Community School has been a place of safety and stability for hundreds of families in this beautiful but struggling Latino immigrant neighborhood for several generations. In fact, the librarian has been on this campus for 35 years! Tech wealth, particularly in these past two years, has brought housing and living costs soaring, and further displacement by school closures will further exacerbate the struggle to live and thrive in this place. But while there are reasons to dismay, we at Generations United are choosing to hope. To have hope in the richness of community and collaboration we have with so many wonderful congregations, nonprofits, government agencies and, of course, the local schools (do visit the “Partners” page). We are grateful for the growing numbers of businesses that are donating their skills, talents, backpacks and school supplies for the cause. We thank the Chan Zuckerberg Initiative and the Saga Foundation for their generous support for leadership development and capacity building for our expansion onto new sites in 2019. Last, and certainly not least, we celebrate the God-given gifts, time and energy of the hundreds of loving volunteers that do the day-to-day work of uniting people, across generations, for a better future. In closing, I wish to share a personal story. Earlier this year, I had the opportunity to join a team from my church, Peninsula Covenant, on a trip to Spain. Albeit a beautiful country, we went not to take in the sights but to visit the work of refugee intake, shelter and social services for the thousands of families that have been forced to migrate from Africa and other parts of the world due to war, famine, and poverty. Suffice it to say, it broke my heart to see so many mothers and children (too often separated) stripped of everything they’ve had, and disoriented in a place not their own. But it also moved me beyond words to see the tireless efforts of so many volunteers, giving of themselves to the work of restoration and resettlement for precious, fellow human beings. This experience changed my life, and gave me renewed passion and energy for the not-dissimilar challenges that so many children, mothers and fathers are facing right here on the peninsula. We hope you enjoy our new website and, most of all, the opportunity it represents for you to join – or continue to journey – with us in the work of Generations United. For those who are new, please go our “Contact” page and let us know what you’re thinking. Hope to hear from you soon, my friend! We had a wonderful celebration with 100+ Fair Oaks family members (including children) attending the event. We prayed and Mary and I witnessed a miracle as donations came flooding in from many different sources. Many thanks to the wonderful people who brought turkeys, gravy, pies, so much food! Thank you to the amazing volunteers who served so beautifully and made this a wonderful celebration. Some FO families were at the RCSD board meeting until 12:30am yet made it out tonight with the cold, poor air quality and dark evening. Your smiles mean so much to so many! We had some wonderful dishes from the families and we do hope you got to try some! Mary, it’s always an honor and joy to see your heart to serve the families. Your tireless commitment is an inspiration and I’m so very grateful to work with you for so many years. You are the BEST alumni EVER! We continue to believe the BEST for our children and families as decisions are being made about school closure. We remain committed to our work of empowering families in NFO. Join us in working with children M-F after school. All are welcome as we have 128 children in the REACH program. We will continue to work with as many as we can through the end of the school. Hoping you have an amazing Thanksgiving. We do have much to be grateful for. 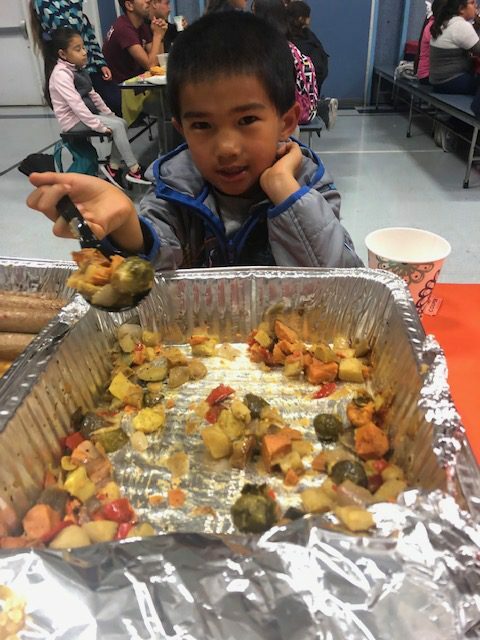 I know I’m extremely grateful for you and the work we do with children and families in Redwood City.